The head of international climate policy and climate-energy advocacy of the NGO Enda Energie, Aissatou Diouf, of Senegal has pleaded for a simplification of the access conditions to climate finance at the international level for developing countries. “For us civil society actors, it is said that accessing this funding through the Green Climate Fund is very difficult. (Because) we have to write projects with rules that the Green Fund has put in place, and for French-speaking countries it is even more complicated because everything has to be done in English,” Ms. Diouf said. 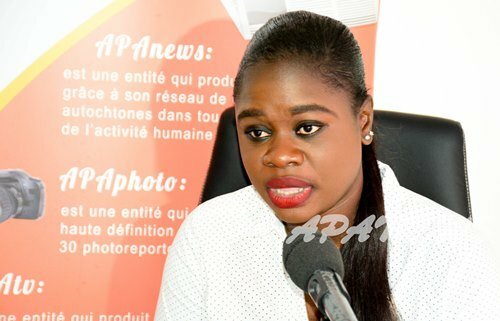 Ms Diouf was speaking recently as guest at APA’s Grand Oral. According to this specialist, many African countries do not have either the necessary human resources or the skills to submit bankable projects to the Green Climate Fund. In addition, each country must have “designated national entities” that are accredited by the Green Fund to conduct advocacy, she added. In Senegal, these “designated national entities” are the Ecological Monitoring Centre (CSE) and the Directorate of Environment and Classified Establishments (DEEC). “As a civil society actor, our plea is to say: We really need to simplify the conditions for access to climate finance at the international level. If this is not achieved, very few countries will have access to the $10 billion or more to implement projects to combat climate change at the national or regional level,” said Ms Diouf. Developing countries have secured financial commitments of US$10 billion (or nearly 6 trillion CFA francs), from developed countries to finance climate change resilience projects in 2019. In addition to the Green Climate Fund, states can also access climate financing through international cooperation between developed and developing countries. Similarly, NGOs can also apply for climate financing to support projects at the decentralised level led by communities affected by climate change, the environmental activist further explained.